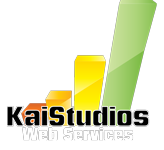 The following are selected currently active projects Kai Studios Inc. involvement in web services related tasks in complete or in part equal to Internet Marketing, Web Design and development. Tendenza Jewelry downtown Manhattan specializes in hand engraving, personal customized engraving gold and silver disc necklaces and stackable diamond rings. DC Mover Professional Movers in Washington D.C.